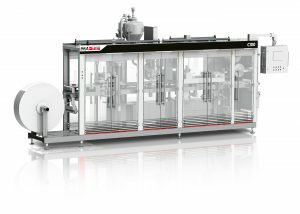 The C100 is the compact, high quality entry machine for cups with a low output. 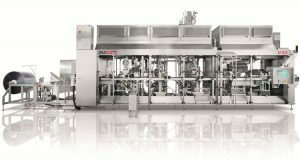 This form, fill and seal machine stands for multiple food and dairy applications. 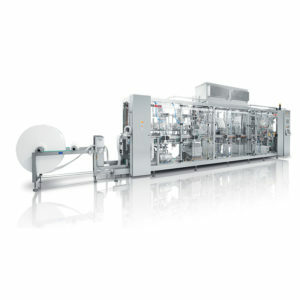 The EF 400 is a high-output FFS machine able to process a huge variety of pasty to liquid products, including multi-layer, and enabling cup design and labelling versatility, leading to significant savings on packaging materials. 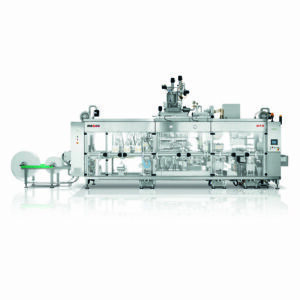 EF600 and EF825 are FFS machines with an exceedingly high output, a benchmark in terms of durability. An ample variety of packaging shapes and materials is possible, and - thanks to a wider bottom web - scrap rate is significantly less.